Cancellations made more48 hours from check-in date will receive a 100% refund of the deposit paid. All refunds are subject to fees of the respective payment provider. To confirm your booking we requirea deposit of 50%. Payments can be made by credit card, Pay Pal or banktransfer. The remainder has to be paid in cash in Nuevos Soles or US Dollars upon arrival at the hostel, latest at your check-out. Cancellationsmade more than 72 hours from check-in date will receive a 100% refund of thedeposit paid. All refunds are subject to fees of the respective paymentprovider. Unless otherwise stated on thebooking confirmation, guests may check-in at any time from 1:00pm on thescheduled day of arrival. In the interests of security, at the time of check-in,guests may be required to confirm their identity by providing their bookingreference and their passport/identity card/driving licence. All rooms that have been bookedand prepaid will he held until 11:59pm on the scheduled day of arrival unlessotherwise agreed. On the day of departure wekindly ask all guests to vacate their rooms by 11:00am (unless a later departureis stated as part of your booking). Late check-out after this time can berequested subject to availability and will be charged at an 50% of the value ofthe room. 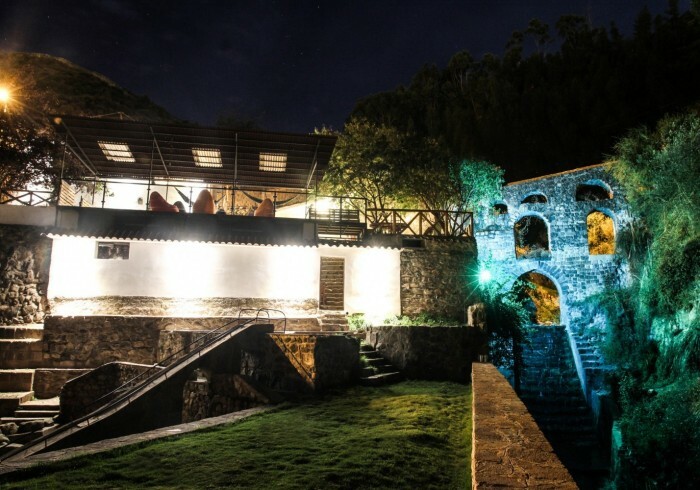 Supertramp Hostel Cusco was created from vagabonds for vagabonds – a meeting place for people from all over the world! Supertramp Cusco is your small home away from home while visiting Peru’s capital of the Incas. Join us for fun, relaxing and enjoy the best view in town! Our brand new 'feel at home' hostel in Cusco is handicraftet, eco-friendly and unifies all the things we love in a good hostel: our environment focuses on awesome service and an artistic and family-like atomsphere. We're super happy to help you have the time of your life in Cusco and around. Come as a guest – leave as family!